In keeping with the typewriter theme, I found this gem in a private collection near Tambo. It looked like any other typewriter until I saw the brand name. 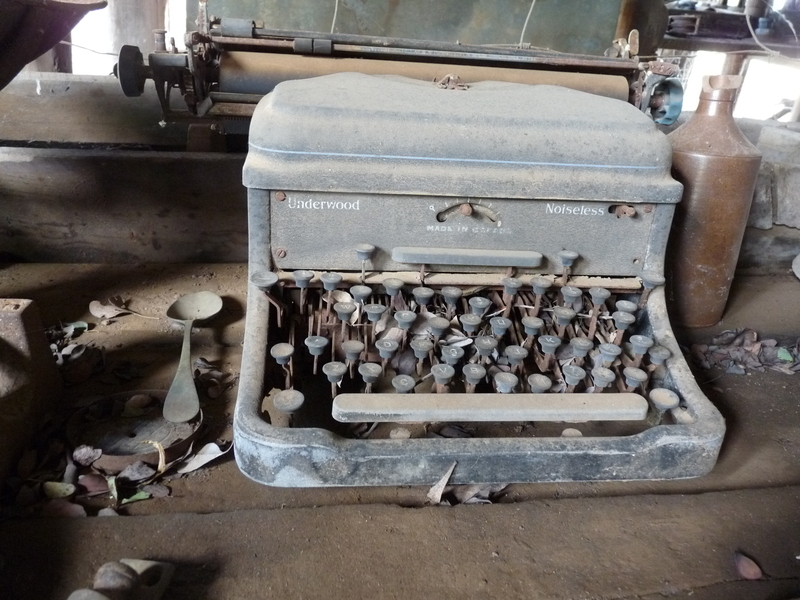 The UNDERWOOD NOISELESS…I think not! But then again, it appears to be silent now. Posted on 23 May 2012, in Uncategorized and tagged Central Queensland. Bookmark the permalink. 3 Comments. oh what a sad and sorry sight! Don’t worry Vicki, it wasn’t in a museum … yet!